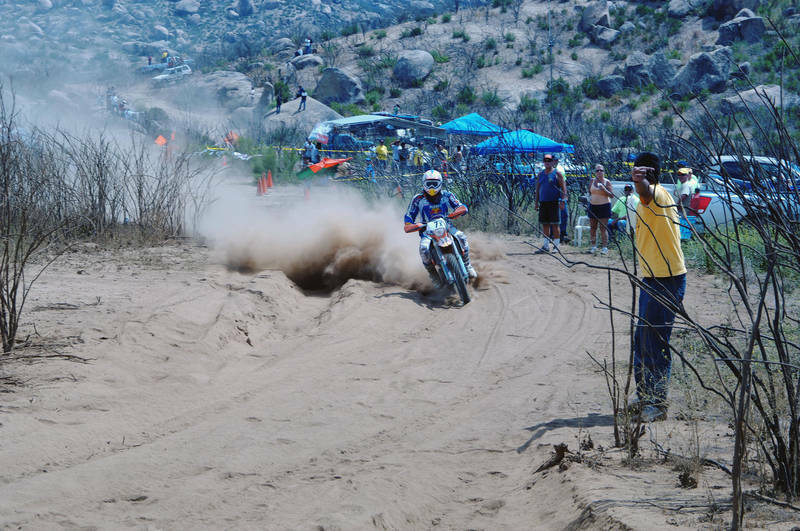 KTM took second place in its first tryout of the Baja 690 machine. The Baja 690 is based on the LC4 engine that first appeared on the market in the KTM 690 Supermoto. Cyril Despres, Chris Blais and David Pearson shared riding duties. The team had little time for pre-race testing thanks to customs delays. Pearson started the race for KTM and led for awhile but some necessary repairs eventually pushed them back to second place. All in all it was a great showing. It looks fantastic — I hope we can all buy one soon. This entry was posted in Motorcycles, Motorcycling, Racing. Bookmark the permalink.